At Music School To Go we believe everyone deserves to have fun and feel like a rock star. 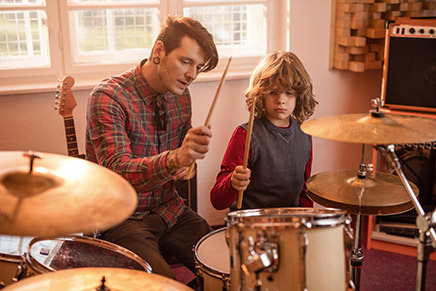 We offer private in-home drum lessons in Encino for kids of all ages and abilities. Our goal is simple: Build great drummers. And that means customizing a learning plan to match your child's personality, interests and goals. Our highly skilled drum teachers in Encino make learning fun. So whether you want to just jam out, start a band with friends or are looking to go pro, we'll help make your dream a reality. If you are ready to start your musical journey, finding the right drum teacher is the first step. The main reason to learn music with us is our outstanding teachers. All of our skilled instructors received their music education at prestigious institutions and hold degrees in music performance in their instruments. Our teachers possess outstanding musical talent and are gifted instructors with the ability to motivate and teach students of all ages. Additionally, our teachers are handpicked for their enthusiasm and patience and most importantly, for their fun and motivating personality that you're sure to love! Drum lessons for beginners is our specialty. We teach drumming for all levels, beginner to advanced. Lessons are custom built to suit your needs. You will learn and understand the role of the drum set in various styles of music. Young beginners through senior citizens can discover, learn, and play the Drum. "Every drummer that had a name, had a name because of his individual playing. He didn’t sound like anybody else, So everybody that I ever listened to, in some form, influenced my taste." When you choose in-home lessons, you are choosing the most efficient and convenient way to include music in your child's life. When you sign up for lessons, one of our highly qualified drum teachers will come to your home. We'll custom match you with the right teacher who suits you best and customize lessons to your age and skill level. 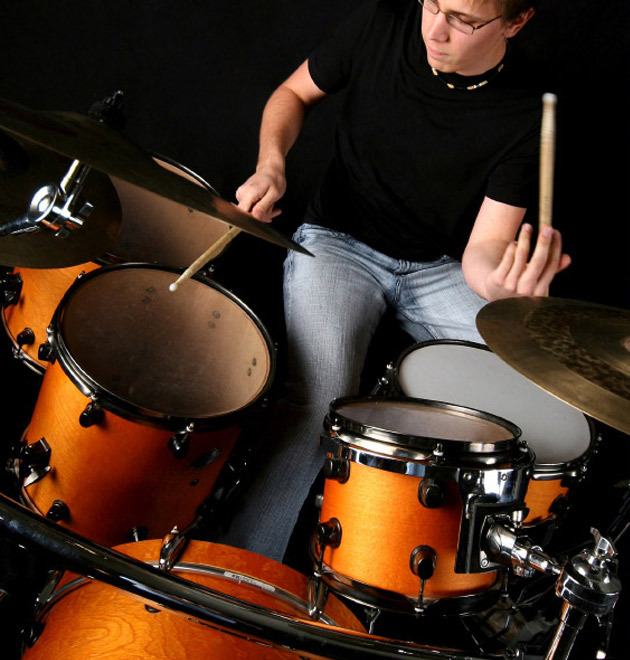 Our goal is provide you with the best private drum lessons experience possible. We're sure you'll love the convenience of lessons in your home. Additionally, we're 100% confident you'll instantly click with your instructor and be on your way to making music with the best teachers! Founded in 2004, Music School To Go is locally owned and operated and the first choice of students and parents alike for quality music lessons in the San Fernando Valley and Conejo Valley. We have a proven track record for offering high quality music education through private in-home lessons. All we do is teach music and we are dedicated to making each student's experience as rewarding and positive as possible and are trusted by hundreds of families. All of our students are on a month-to-month basis. You are not required to enroll for any "set" period of time. You can begin lessons anytime and discontinue any time. Music School to Go offers two fun, low-key recitals twice during the year to encourage practice and performance techniques. Students are not required to perform, but most choose to. Recitals are not only fun, they motivate students to practice more. Students never pay for the recitals. Contact us or call to schedule a Private Drum Lesson. We have been serving families in and near Encino, CA since 2004 and hope that your family will be the next to join our Music School To Go family!